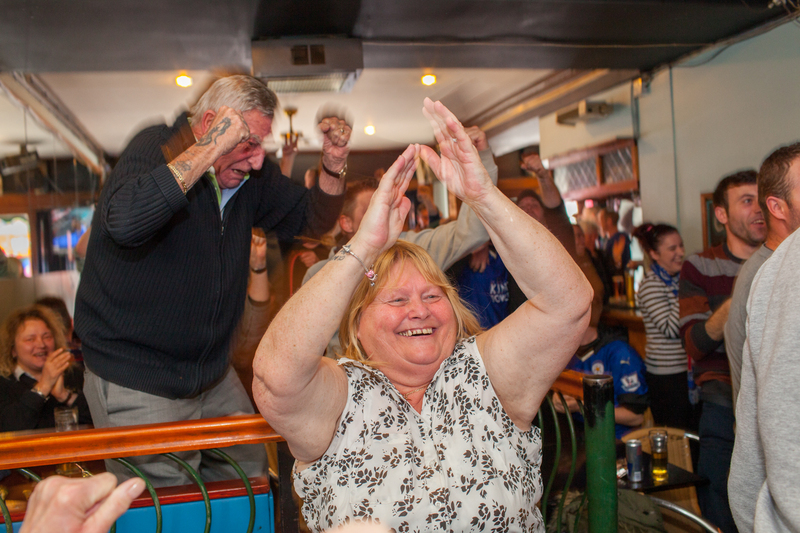 Leicester City football fans watch their team playing away at MAnchester United on the television in the Oasis Bar located on Narborough Road. Narborough Road, one of the main avenues into the city, was named the most diverse street in Britain by researchers. Shopkeepers and small business owners from 23 nations work there. On the 2nd May 2016, Leicester City football club became champions of England for the first time in their 132 year history. Leicester has been dubbed as most multicultural diversified city in England, thanks to scores of people that have flocked the city and who have hailed from different parts of the world. According to the Leicester city council, the city has the highest number of immigrants who have sought both temporary and permanent residence in England. Majority of these immigrants are people who have left their home countries in pursuit of job opportunities in England.